Pay for 4 months up front and get 2 months free! Sherlock Storage is a family-owned, locally-operated storage facility, serving the self storage needs of Missoula-area customers. From 8×10 to 10×40 units, we accommodate everything from household items, to vehicles, to RVs and beyond. Our facilities are secure and constantly monitored, for your peace of mind and protection. Call today for lease information! Tired of rummaging through a crowded basement to find what you’re looking for? Want to make space in your garage, so you can finally park more than one vehicle in it? 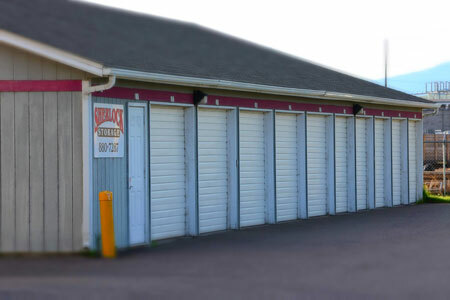 The answer is self storage in Missoula, MT, and Sherlock Storage is here to help. We offer clean, safe, affordable storage unit rentals, so you can keep your belongings with us over the long-term. You’ll recapture precious space in your home or garage, while still having access to everything you need, when you need it. From household seasonal items, to unused furniture, to achieved documents and even vehicles, we offer a number of storage spaces to meet your capacity needs. Our storage facilities in Missoula, MT are equipped to provide rental customers with a full scope of storage options. We have both indoor and outdoor parking spaces for vehicles and RVs, storage units ranging in size, and warehouse-sized options for customers with massive storage demands. Our entire facility is gated and monitored via CCTV for round-the-clock protection, and we’re fully licensed and insured for your peace of mind. Plus, if you have any questions or issues, you can visit our on-site office to have them addressed immediately! We invite you to stop by, tour our facilities and see for yourself why we’re the number one destination for self storage in Missoula, MT. We do not require a cleaning or security deposit, making our units among the most affordable in the area! We’re recognized by the Better Business Bureau (BBB) and maintain a superior rating. All of our storage units are insulated and secure, giving our renters complete peace of mind. We offer deals and special pricing to renters who pay their lease upfront. For example, pre-pay for a 6-month lease and receive the 6th month for free! Our facilities also accommodate RVs, campers and vehicles. When you’re looking for safe, secure, accessible self storage for an affordable price, look no further than Sherlock Storage. It’s no mystery why we’re the best storage provider in the area! …And to college students across the USA!